The theory of Pilates is that most people have spinal imbalances due to injuries, not knowing how to use their bodies properly, or because of the kind of work that they do. Some patients may be in constant pain from their muscles being overworked; therefore, they need to stabilize their muscles. Pilates helps to rehabilitate the body so the core muscles are working. With Pilates you experience strength from the core out to the external part of the body. Jamie has been a student of movement her whole life, from competitive sports to dance to yoga to Pilates – and the list won’t stop there! She believes that in order to be a well-rounded teacher, one must continuously be the student, and she strives to dedicate time daily to focus on her own movement practice. 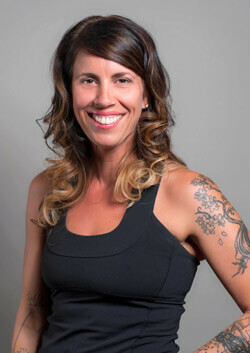 Jamie combines her extensive movement education history to create unique group classes and individualized private sessions in both yoga and Pilates. 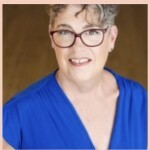 Her teaching highlights the concepts of breath and functional alignment, a sense of flow that stems from her dance background, and she encourages students to feel their way through their movement practice and honor his or her own body daily. Jamie holds an Advanced Teacher Training Program Certification via Debby Orlando of The Pilates Center of Boulder, and a 200-HR Yoga Teacher Training Certification from Shayne Broadwell of Core Essence Yoga. Jamie is eager to share with and learn from her students. 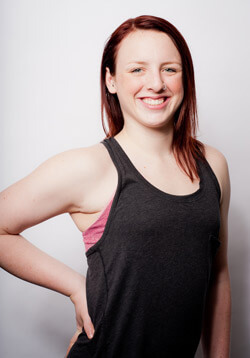 Jesse Masche is the driving force and heart of East Side Pilates. As acting studio manager and part owner Jesse sees over all operations at ESP. She has been a Rehab Specialist; certified in Exercise Prescription & Orthopedic Testing since 2009. Additionally, she has been a Licensed Massage Therapist for over 17 years, specializing currently in Deep Tissue Therapeutic massage. Jesse began training for her certification in mat Pilates in 2007 through Power Pilates. She then began her full apprenticeship in 2009, receiving her certification in Full Pilates Apparatus Training at Essence Pilates in Chicago in 2011. She was immediately asked to be a Pilates instructor in Milwaukee once her coursework was finished. Here she refined her skills as an instructor in constant practice. In early 2013 The Pilates Garage was added to the existing Masche Chiropractic space in Greenfield, as Jesse and her parents wanted to create a space where clients could experience complete mind and body health. By December 2013, the Masche family had the opportunity to purchase East Side Pilates. Jesse took this opportunity to transform the space into a more modern design, using her expertise from her fashion design degree from IADT in Chicago, reflecting the younger, active clientele in the neighborhood. Next up was creating more workout options geared toward working professionals and students such as out-of-the-box classes to help “escape from body boredom”, pilates in the park events, weekly happy hour sessions, workshops on current trends in health (highlighting nutrition, cleanses, organic makeup and supplement education classes) and even Pilates focused getaways. Jesse wanted both studios to reflect the mission of breaking out from your normal workout and mental routine to see real changes in your body and life. Lisa began her fitness career as a personal trainer and became a certified Matwork instructor through the Physicalmind Institute in Santa Fe. She continued her training with Alan Herdman and Active IQ in Great Britain with a five hundred hour comprehensive training on equipment with a specialty in neuromuscular disorders and rehabilitation. A national fitness presenter for SCW Fitness education and an international trainer for Poolates, she firmly believes that age is just a number and that movement is the basis of good health and should be fun! Drs. Jack has a studio called The Pilates Garage at Masche Chiropractic Health Center. Participants can take classes or get private lessons. He also own’s East Side Pilates studio which their daughter manages. Intro to Pilates – Let’s face it, starting Pilates can be intimidating! Our Beginning Pilates class is designed to give someone who is new student to the Pilates Method (or an existing student who wants to review alignment and technique) a rewarding foundation for a life-long practice. Beginning Pilates is designed to give a comprehensive Pilates experience, using the Reformer, Mat, and Tower. Class cost: $190 for 3 Private lessons, Private Lessons $70 for 1, $340/5, $590/10, Semi-Privates Price per person $30 for 1, $260/10, Intro to Duets $100/3 Price per person, Duets $40 for 1, $350/10 Please note: Purchases are non-refundable and non-transferable, and we require a 24 hour notice of cancellation on all classes and lessons. Private lessons expire two years from purchase. Intro packages are limited to one per person and expire one year from purchase. Current Classes: Monday 6:30 PM; Thursday 6:00 PM. We are accepting new clients for all classes. Contact our office to schedule today!